i purchased these Anna Maria Horner fat quarters here sometime last year. although i absolutely love them, i was stuck on how i wanted to use them. for some reason, when i saw this quilt, i suddenly became inspired!! so i immediately went for the ruler and scissors. not one to follow patterns or tutorials much, i never looked back at the original photo, but instead just dove in and started cutting. 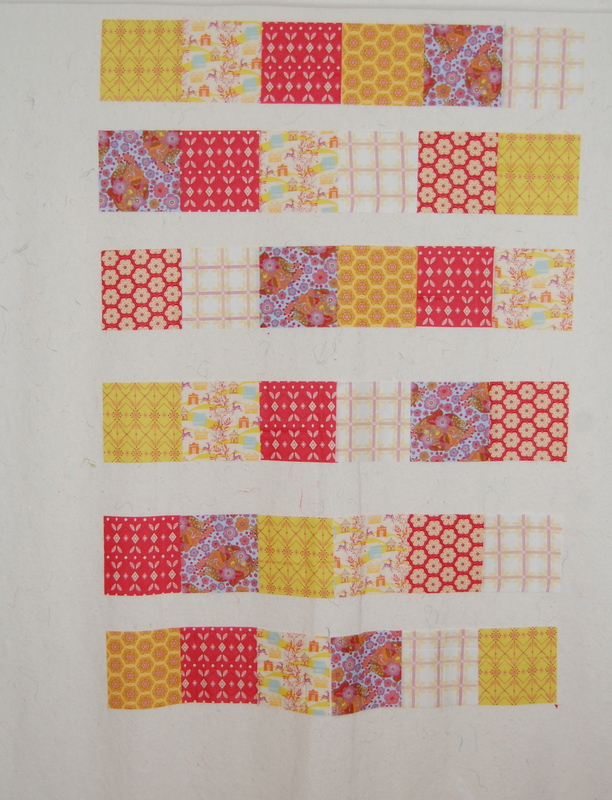 i decided on 61/2 in squares, sewed them together in rows and….. so far i’m liking it. 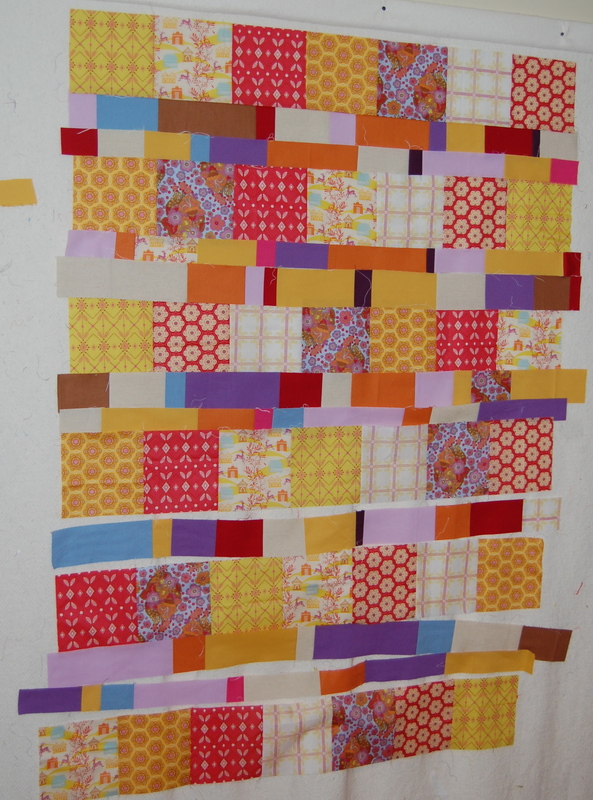 clean, simple, pretty..
then i was ready to take the next step: sewing the strips of solids together. i was so surprised to discover that i had plenty of solids in the colors that i felt were perfect for this quilt!! they looked better before i sewed them together for some reason. 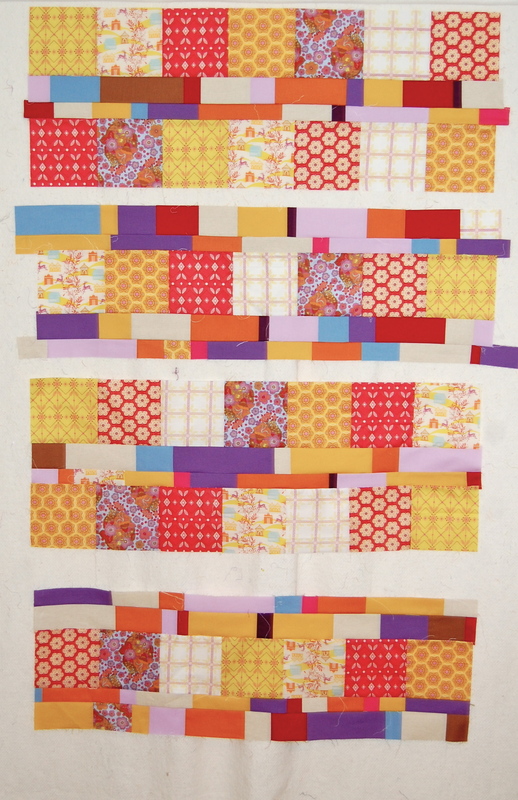 so after i got the strips in i kind of hated this quilt and felt altogether unworthy as a quilter. why couldn’t i make it work like ashley did? 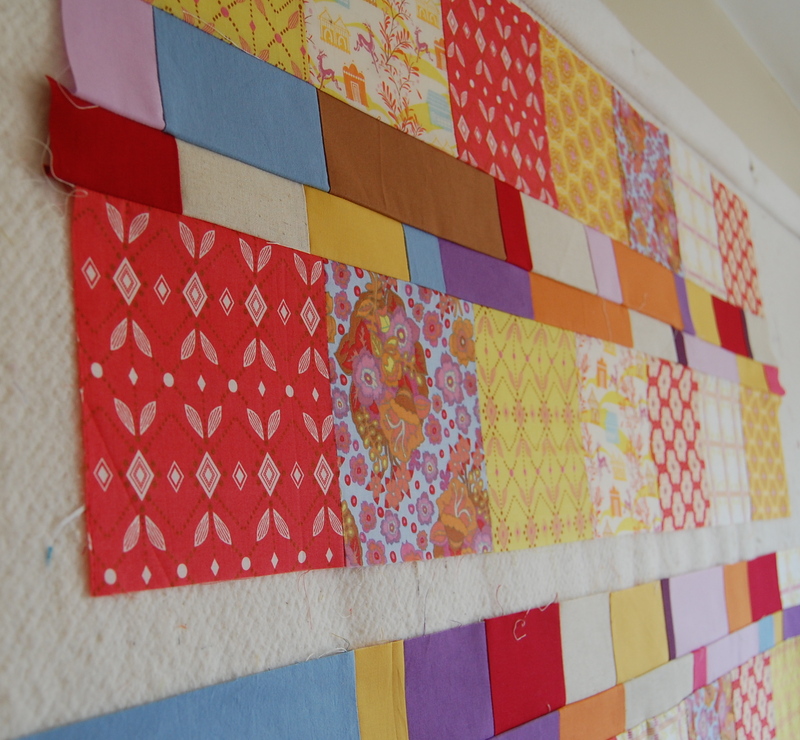 i find many times that i really dislike a quilt for the first half of the design process, but if i stick with it, i often come up with something i feel good about and sometimes really love. i have tried drawing out designs first but have not had luck with that. i find the process of creating as i go and discovering what works along the way, very enjoyable and inspiring. it’s nice to have a jumping off point, i.e, ashley’s quilt, but in the end i feel i had to stay true to my own process of discovery. hopefully the end result is as fabulous as it is in my mind! !